Taraji P. Henson is speaking out in support of her close friend and co-star. 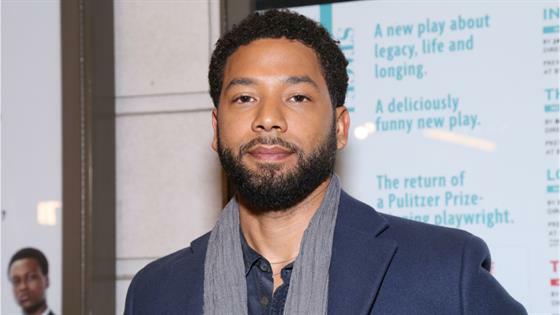 On Wednesday, the Empire star took to social media and reacted to the shocking attack against Jussie Smollett. "I wish what happened to my baby was just one big bad joke but it wasn't and we all feel his pain right now," she wrote in a post on Instagram alongside a video of Jussie singing. "@jussiesmollett is pure love to the bone AND THAT IS WHY SO MANY ARE FEELING HIS PAIN BECAUSE IT IS OUR PAIN!!! I tell you one thing HATE WILL NOT WIN!!!! My baby is resilient and love still lives in him." "The devil and his minions are very busy right now but one thing is for sure and two things are for certain #GODIS and that is all I know," she continued. "This song needs to be downloaded until it goes triple platinum because the message is NEEDED. #weareresilientpeople AND #weaintgoingnowhereuntillwearefinished. The love so many have him just goes to show HE IS LOVE!!!! I LOVE YOU MY BABY MY BABY!!! #LOVEWINSALWAYS." Chicago Police confirmed Tuesday that authorities received a report of a "possible racially-charged assault and battery" involving a cast member from Empire. During the attack, one of the unknown offenders wrapped a rope around Jussie's neck. The suspects also yelled out racial and homophobic slurs before pouring an unknown chemical substance on him. Since the news broke, many familiar faces in the Hollywood community have spoken out in support of Jussie including Empire co-creator Lee Daniels. "It's taken me a minute to come to social media about this because Jussie you are my son. You didn't deserve nor anybody deserves to have a news put around your neck, to have bleach thrown on you, to be called die f----t, n---a, or whatever they said to you. You are better than that. We are better than that. American is better than that," he explained in an Instagram video. "It starts at home, it starts at home yo. We have to love each other regardless of what sexual orientation we are because it shows that we are united on united front and no racist f--k can come in and do the things that they did to you." He added, "Hold your head up Jussie. I'm with you, I'll be there in a minute. It's just another f--king day in America." John Legend, Shonda Rhimes, Kerry Washington, Zendaya and more stars have also expressed well wishes for the 35-year-old on social media. Chicago Police continue to ask anyone who has information on the incident to please contact Area Central Detectives at 312-747-8382 or report it anonymously to www.cpdtip.com. "We are deeply saddened and outraged to learn that a member of our EMPIRE family, Jussie Smollett, was viciously attacked last night. We send our love to Jussie, who is resilient and strong, and we will work with law enforcement to bring these perpetrators to justice," 20th Century Fox and Fox entertainment said in a statement. "The entire studio, network and production stands united in the face of any despicable act of violence and hate—and especially against one of our own."